A plethora of audio recording software and apps available in the market but today we have bought a special music recording app for music lovers which quickly record any type of audio from all sources on your windows and mac pc. Since ages musicians are creating a wonderful and awesome music for us and no doubt they love audio recording software which has the capability to record 100% clear music without any error. A best music recording app for talented songwriters, composers, singers, conductors and bandleaders which contributes a large share to the music industry. Leawo – A high-quality recording program that records every audio which is available on your computer as well as music streaming sources such as youtube, Internet Radio, AOL. 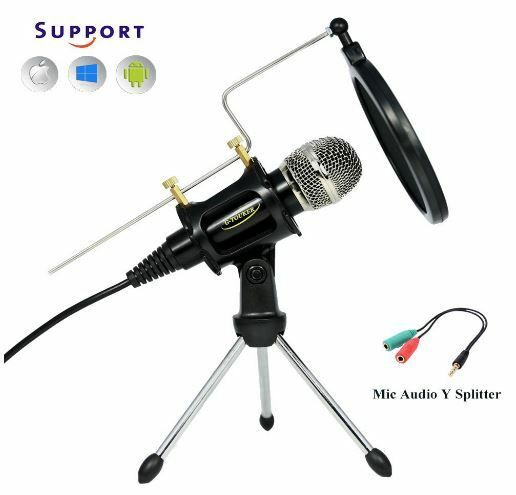 Are you a singer who love singing songs or a motivational speaker then you should buy this professional studio recording condenser microphone which offers clear sound without any distortion. 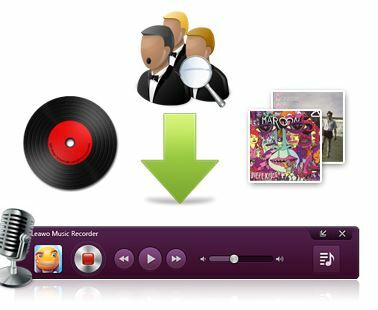 Leawo music recorder app has the capability to record any type of music and save your recordings into MP3 & WAV audios. An awesome Task Scheduler feature that allows people to set the recording start time and duration. 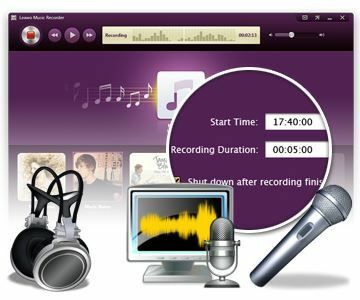 Recording can be done from the audios stored in your computer and other online sources such as Youtube, FM, AOL. 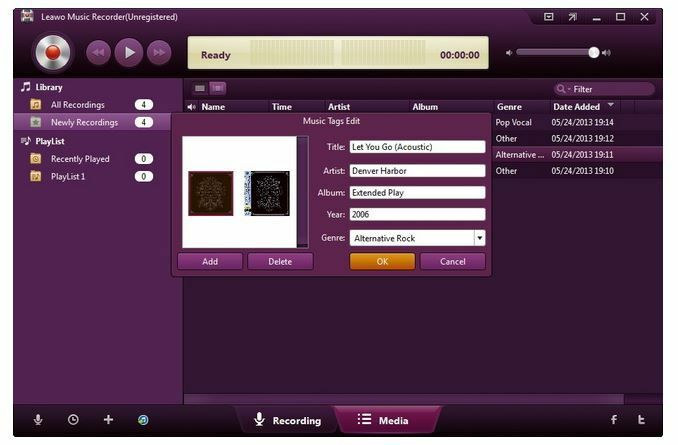 The song album cover, song tags like artist and song name can be automatically added to your recorded music. A customize recording feature that allows you to adjust the time frame between two different audio recordings and set time duration to filter recordings. This recording program identifies music on the basis of recording and download music into perfect recording files which include song name, song album, artist. With Leawo now record you can add, edit and delete a playlist to playback recordings. 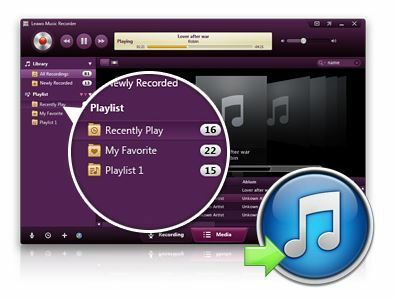 Apply your recordings to iTunes for sharing in just one single click. YouTube, Last.FM, Pandora, Napster, Spotify, GUBA, NPC, MySpace, archive.org, BBC Radio Audio, iTunes Radio, RTVE, Sirius Radio, Radio Blog Club, XM Radio Online, AOL Music, etc. Step 1:- After installing the app you will see the below interface where you will get two options. You have to select either from the 2 options. Step 2:- Click on the start recording feature so that your audio automatically starts to get a recording but make sure you start the recording feature before you play any audio. 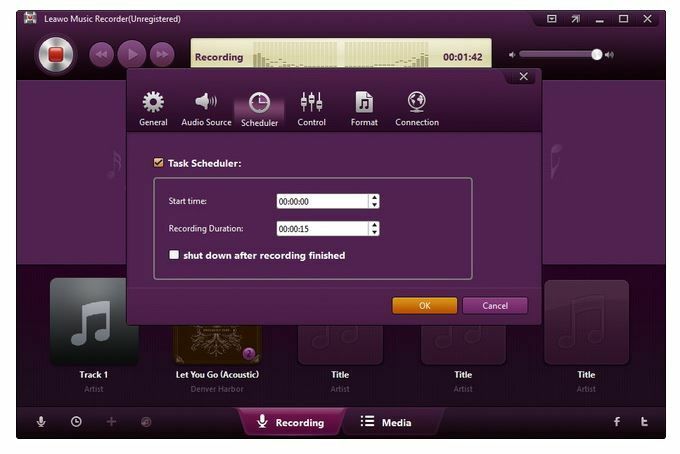 A task scheduler is present on the bottom left corner of the Leawo music recording app where you have to select the start time and duration. Step 3:- Once your recording is finished you can name and edit the recording such as Title, Artist, Album, Year, Genre and Album Cover. Add, Edit and delete to playback your recordings. Step 4:- Finished!! Your recording is done. The above steps explained is implemented both for Windows and Mac to do the audio recording but we have only explained how to do the recording on Windows system and if you want to do the recording on Mac then click here to follow step by step procedure. 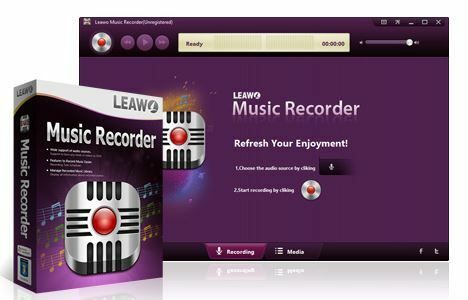 After using the Leawo if you are still not satisfied with this music recording app then we have bought 2 alternatives as well, please have a look. 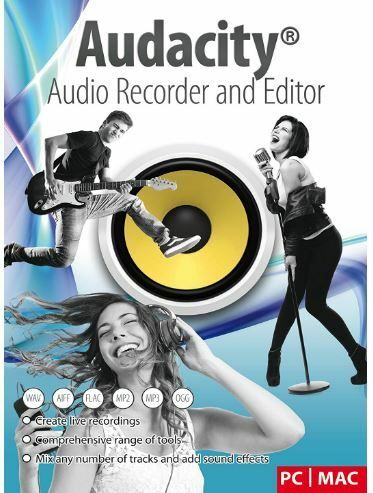 A professional audio capture program that can easily record, edit and play all formats of audio files. Add a number of tracks and add sound effects. 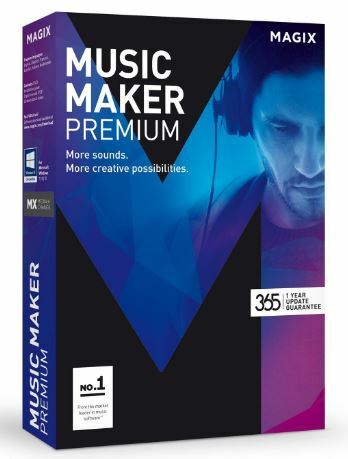 A perfect music maker tool to create to record, edit and remix music. 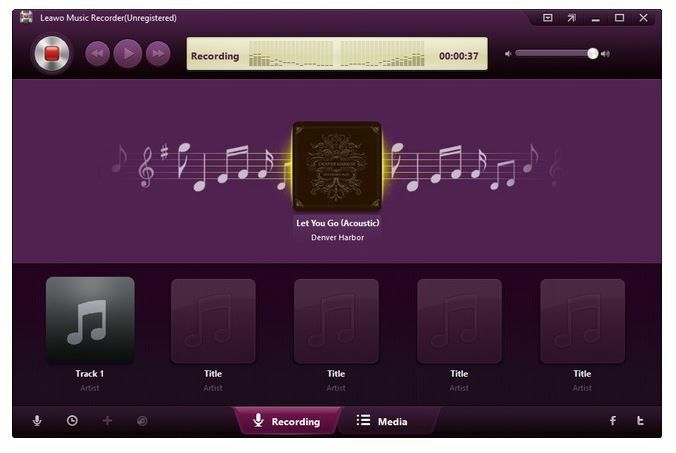 Leawo is our favorite music recording app that has an awesome inbuilt audio recording program which has the potential to record any music regardless of any format on Windows and Mac pc. The best audio capture software especially for music lovers and musicians. This user-friendly app can be used by the person even who has no technical knowledge as the interface is really uncomplicated to understand.